Faculty with limited supervisory authority are still working on collecting authorization cards for their bargaining unit. To find out more about what is happening with the campaign for supervisory faculty, click here. To learn more about the card check process here. Are you a supervisor and haven’t signed your card? 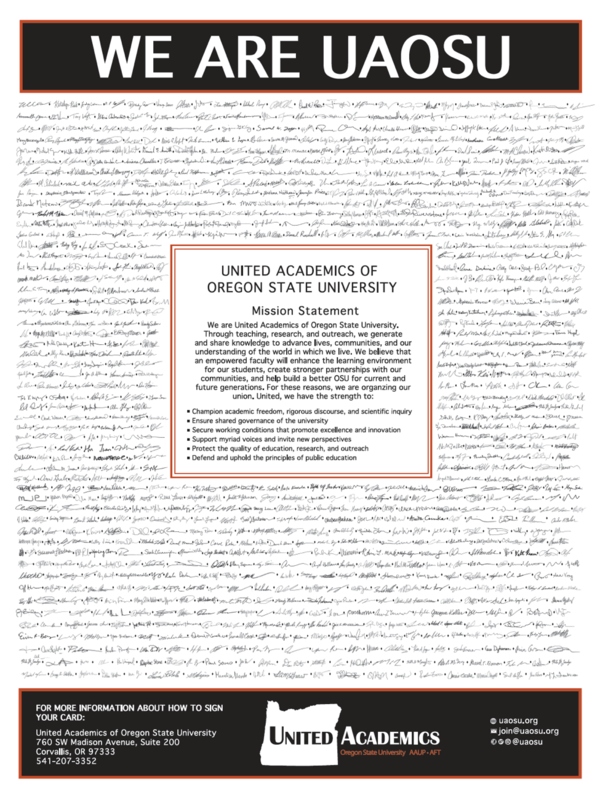 Click below to request a card or print one to mail to UAOSU, 760 SW Madison, Corvallis, OR 97333. When filling in the date, you can either use the format of Month/Day/Year (e.g. 3/5/18) OR write it out (e.g. March 5, 2018). If you make an error while writing the date or your name, start fresh with another printed card. Do not scratch out or write over any text in these two fields, as this will invalidate your card. See a sample card with annotations here.